Voice over IP (VoIP) is a telephony technology that delivers immense cost savings and flexibility for organizations of all sizes. Global enterprises, SMBs, and startups worldwide are increasingly switching to VoIP to facilitate a new era of agility and affordability in business phone service. In the early days of VoIP, some consumers reported quality concerns. However, the increased prevalence of this technology has facilitated enormous quality and satisfaction gains over the past few years. Who are the Best VoIP Service Providers? If your organization is considering an initial investment in VoIP or switching vendors, carefully qualifying prospective providers is critical. Despite the increased prevalence of Internet and mobile technologies, consumers still prefer the phone as their primary channel for customer service. Business voice systems with poor call quality or a great deal of unavailability can damage your reputation among prospects and customers. In this blog post, you'll learn nine key factors and tools to use when selecting a VoIP provider that's genuinely reliable. Integrated access - with Integrated access, you leverage your IP network to carry your voice services, too. You can use existing LAN cabling and Ethernet equipment to transmit phone calls. Phone calling becomes an application the network, like email or file transfer. The benefits are cost savings, easier troubleshooting and greater flexibility. SIP (Session Initiation Protocol) trunking, a communications protocol for signaling and controlling multimedia communication sessions. The most common applications of SIP are in Internet telephony for voice and video calls over Internet Protocol (IP) networks. This protocol is becoming more prevalent in comparison to older PRI or analog trunking of legacy telephone services. Private Branch Exchange (PBX), the PBX is the system that manages phone calls and phone services (such as voicemail). It may be hosted, on premise or a hybrid of the two. We see more of our customer base electing to use a Hosted PBX because of cost savings and ease of use as well as service flexibility. Ultimately, it's perfectly fine if you don't precisely understand your VoIP needs or what the right solution for your organization is. The right VoIP vendor will take the time to evaluate your businesses' needs, explain the pros and cons of your options, and help you decide which approach you need. 2. Do You Want Hosted VoIP? Hosted VoIP offers the benefit of outsourcing the maintenance of your phone system. Your vendor will manage the equipment installation and all updates which occur after installation, including routine updates to your system. Typically, information technology personnel will have access to their VoIP system via a convenient, cloud-based portal that can be accessed remotely. For sophisticated organizations, self-hosted VoIP allows the self-installation of a private branch exchange. Organizations are responsible for upgrades to the system and phone equipment. This option can save costs, but will require a greater investment of time and personnel over the system's lifetime. VoIP is reliable, but it's only as reliable as your Internet connection. There will likely be times when you experience a loss of connectivity which can bring business phone communications to a halt. 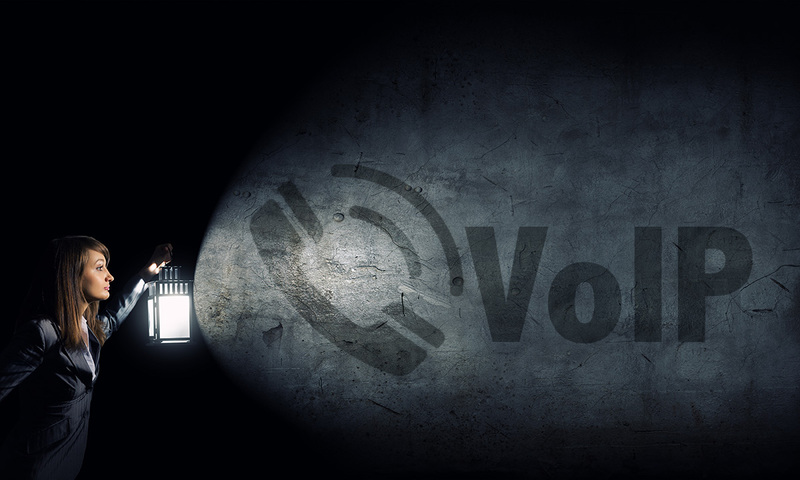 When interviewing prospective VoIP vendors, ensuring they offer built-in redundancy in case of emergency is critical for companies that are reliant on the telephone for communicating with customers and vendors. Ensure a prospective vendor offers "call continuity" that is among the most common and effective forms of VoIP redundancy. This means that your employees mobile numbers will be connected to their VoIP line, for seamless call forwarding if their Internet connection is ever lost. VoIP is inherently sensitive to your company's bandwidth and Internet connection quality. Insufficient Internet connectivity can result in call delays and poor call quality. Ensure that a prospective VoIP vendor guarantees quality of service (QoS), which will guarantee a high quality of calls with network traffic evaluations, designating sufficient bandwidth, and effectively prioritizing your company's traffic to protect call quality. A best practice that we see in the marketplace is to use your Internet service provider as your voice carrier, too. Having separate Internet connectivity and phone service vendors introduces latency into your phone service as the voice packets have to be transmitted to another network. QoS cannot be guaranteed in this scenario. Uptime is a simple measure used in the telephony and technology realms, which is a percentage of the time a service is available. Inquire about a company's uptime guarantees. Perhaps even more importantly, ask about their uptime record for the prior year or quarter. An uptime record that exceeds their customer guarantees can be a positive sign that they over deliver on a regular basis. Underestimating the bandwidth you need to maintain high-quality voice calling can result in poor end-user satisfaction with your VoIP vendor. Bandwidth calculations are complex, and require an understanding of your company's total number of phone users and the number of concurrent calls you'll be placing on a regular basis. It also requires knowledge of how you are using the Internet. Is it for general web surfing and email? Are you transferring files frequently? Do you have servers on your LAN that are accessed frequently over the Internet? A good place to start is looking at your current Internet usage metrics. At Atlantech Online, we provide our customers with access to real time statistical data about their Internet usage. Ask your carrier to provide you such access, if you can. Another factor is the type of codec used by your voice carrier. We use a high quality G.711 codec which translates to 80 Kbps being used for each phone call. Prospective VoIP customers should never be afraid to ask a potential vendor for references, case studies, or testimonials. Verifying the experience of clients who operate in similar industries to your business can provide peace of mind that a VoIP vendor can deliver sufficient quality to another startup, call center operation, or for other specifications. Obviously, a VoIP vendor that's hesitant to provide references may not produce the same quality they promise in their marketing materials or sales pitch. Service-level agreements (SLAs) are a contract between a vendor and a client to ensure that expectations are met post-implementation. In the VoIP world, SLAs should address uptime, QoS, and bandwidth guarantees. Ensure that a VoIP vendor protects their buyers by offering SLAs as a routine part of any business agreement. What can you expect if you're having VoIP issues after 5 pm on a weeknight? How about weekend difficulties? What if your employees require slightly more training than anticipated on routine phone operations? Prospective clients should never be hesitant to ask for more details on the level of support they can expect from a VoIP vendor, especially if they're opting for hosted services. If you're checking a vendor's references, ask for more insight on the quality and reliability of their support. No company wants to sign up for service with a VoIP vendor that's suddenly very difficult to reach or unhelpful as soon as you've gone live. Chances are, you understand whether or not hosted or self-hosted VoIP is the right option. Once you've made the critical decision about whether you'll host your VoIP in-house or use a provider, it's time to begin screening vendors. In addition, if you are trying to achieve cost savings and efficiency, you may choose to select a business VoIP provider who offers unified business communications services. By bundling fiber-optic internet connectivity, data center, and VoIP, you can save money, and achieve better productivity. Your provider should also document and design for any remote users or applications. VoIP hardware requirements are actually surprisingly minimal. If you are opting for hosted voice, you will only need to purchase a voice gateway and phones for in-house use. A VoIP gateway is a piece of hardware that transmits voice packets from your LAN over your IP network. Gateway requirements can vary, according to the volume of voice traffic your business will be generating. When properly planned, installing a Hosted VoIP solution can be very simple, particularly with the help of a trusted, experienced vendor. You'll simply install a Voice Gateway to your Internet connection and connect all the phones. The phones will find the PBX over the network. Porting business phone numbers usually takes up the most time. If you are being assigned new numbers, your new business phone system could be fully operational in one business day assuming you've done proper planning. If you're planning on switching to unified business communications simultaneously with VoIP, including fiber-optic internet connectivity, your installation plan may be a bit more complex, but you will then be prepared for the current and next wave in telecommunications trends. The complexity of installing fiber-optic Internet can vary significantly, depending on your proximity to existing fiber lines, building infrastructure, and any bureaucratic processes you need to navigate. Depending on these factors, you may need to plan between a business day and several weeks for a successful installation of fiber. To learn more about factors that can affect fiber installations, we recommend How Much Does it Cost to Get Fiber Internet Installed in My Building? You should contact your incumbent carrier to alert them to your numbers being ported away and also to establish a service end date. Your new provider should be able to provide a recommended service end date that ensures continuous communications. If you intend to port, or transfer, your business telephone numbers when you switch voice providers, it is wise to plan this early in the process. Your business is legally entitled to port your number, per Federal Communications Commission (FCC) guidelines, unless you are switching "geographic areas." Allow one business day for the porting process to be complete. In many cases, the process of retaining your old phone numbers and extensions is surprisingly simple. For an in-depth overview of this process, we recommend Number Porting to a New VoIP Phone System: What You Need to Know. Switching to VoIP doesn't need to be overwhelming. The right vendor offers on-staff experts and a breadth and depth of experience to help you select voice communications services and hardware that will provide value to your organization for years to come. By choosing a vendor who is prepared to do the heavy lifting, you can enjoy cost-effective, high-quality business communications with minimal complications or confusion. Atlantech Online offers unified business communications tools for organizations of all sizes, including leading options for VoIP. Our expert consultants specialize in making the process of switching your business voice services as pain-free and efficient as possible. To learn more, contact an Atlantech representative today. 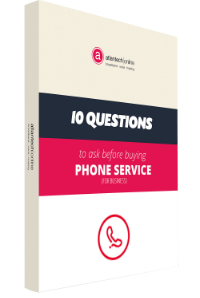 Your company's phone system is a critical component of your ability to deliver quality service to your clients. Without high-quality voice, you'll be unable to resolve complaints or exceed your customer's expectations. Thoroughly interviewing prospective VoIP vendors can ensure you experience adequate call quality, customer service, and uptime after your implementation. To speak to one of Atlantech's staff experts about voice services for business, click here to start a conversation today! Get all the information you need to make the smartest decision for your business' phone service.